Well, I spent a lot of money on the Tanita RD 953 Scale/Body Composition Monitor. Unfortunately, I got a bit of a disappointment, but I also figured out a workaround. I received the scale on Tuesday of this week. I found out on Monday that it had arrived at the local scale dealer here in Davao and could be picked up on Tuesday. I was excited to get the scale and try it out, so in preparation, on Monday night, I decided to install the Android app on to my phone, so that it would be all set up and configured when the scale arrived the next morning. I went online and found a PDF version of the scale manual, and got all of the information about the app for Android. The name of the app is “My Tanita” and it is available in the Google Play store. I do not use iOS, so I don’t know if this information applies to the iPhone or only to Android. Anyway, I went to Google Play Store and found the App. I went to download and install it, but noticed that there was no button to install it! As I looked closer, I saw a message in the Google Play Store that said: “This app is not available in your country”. Hmm… I live in the Philippines, and the software was blocked from being downloaded by people in the Philippines. This really upset me, because on every advertisement for the scale they made a big deal about the app, and how the scale could be used in conjunction with your smartphone using the app. In fact, there was another scale available for 1/3 the price which did all of the same things but did not have inter-connectivity with your phone. But, I wanted the feature of tracking everything on my phone, so I paid a premium for the higher model of scale. Now, I find out that the app is not allowed for download where I live! Frankly, I was livid! The local Tanita dealer was happy to take my ~$250 for the scale, but now I would be unable to use the scale as it was designed for use because they would not allow me to download a free app! I started doing some research and found that there is a different app for users in Asia, that alternate app is called “HealthPlanet”. So, I grabbed that app and installed it. I tried it out and was very disappointed with the app! Firstly, the units of measurement were fixed… it could only measure in kilos. 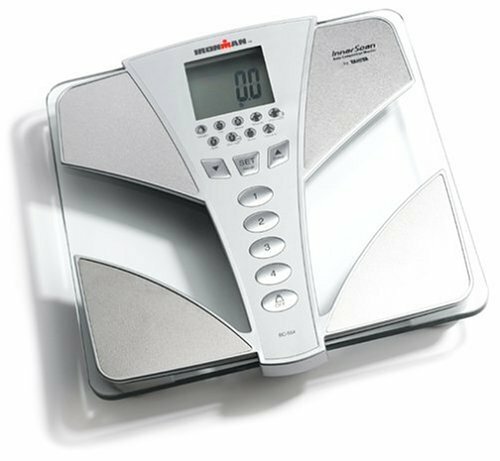 The scale itself is capable of measuring in Pounds, Kilos or Stone. But, the app would not allow me to use pounds, only kilos, because that is what is most widely used in Asia. I am American and have always tracked my weight in pounds, and that is what I was used to, and wanted to keep using. Another thing I hated about the app is that it was loaded with advertisements on every screen! Frankly, the app was terrible, not configurable, and I just did not like it. I could see by the information posted online that the other app, My Tanita, was much more flexible and to my liking. Why would I not be allowed to use the app that is intended for that scale that I just paid big money for? After I tried out the HealthPlanet app and learned how terrible it was, I thought of a different way that I might be able to work around the problem. Sometimes, you can get apps for Android by downloading them from unofficial sources on the Internet instead of through Google Play. These are called APK files. I searched and found the APK for the My Tanita app, and I grabbed it, then installed it on my phone, and it worked fine. It was fully configurable for pounds, kilos, stone and such. Much better than HealthPlanet, for sure. So, I got it all set up the way I wanted for use with the scale, and I like the scale very much. It just bugs me that for users in Asia, who pay a premium price for the scale, they are only allowed official use of a poor app and not the official app for the scale. I see no reason for that and think that Tanita is not really fair in doing that. The scale is made by a Japanese company, you would think that users in Asia would be treated fairly, but that is not the case. So, Tanita.. great scale, but poor customer relations. Yes, it really helped me out in this case!